A preliminary magnitude 4.1 earthquake struck 28.5 miles east-northeast of Searles Valley, according to the U.S. Geological Survey. 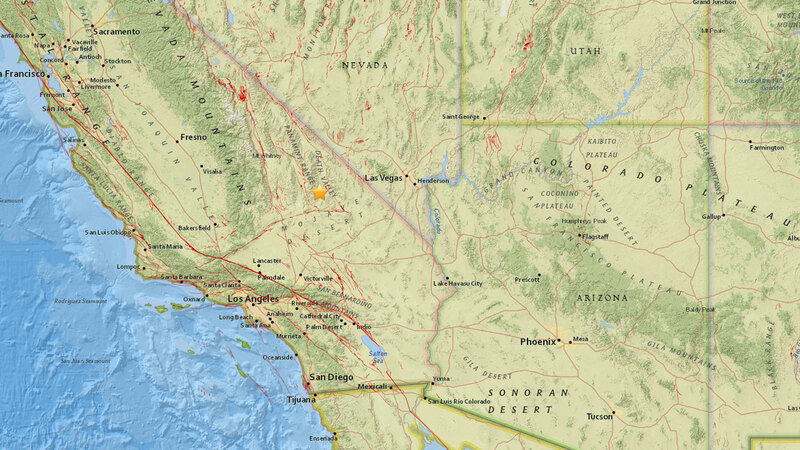 SEARLES VALLEY, Calif. (KABC) -- A preliminary magnitude 4.1 earthquake struck 28.6 miles east-northeast of Searles Valley on Tuesday, according to the U.S. Geological Survey. The temblor hit at 12:51 p.m. and was 3.7 miles in depth. Searles Valley is a census-designated place of the Mojave Desert in northwestern San Bernardino County.